We all know that blood plays a vital role in keeping us alive. Look at how fast we can heal from a cut—what an amazing ability! But blood also plays an important role outside our bodies. By making the selfless decision to donate our blood, we can save lives. This substance running through our arteries and veins is fascinatingly complex and merits closer attention. 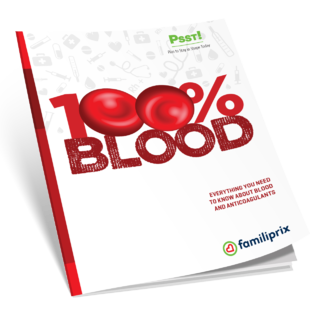 This guide provides an overview of blood’s key components to help us better understand just how valuable it is. The last section covers the blood thinning medications that some people need to survive. How can you tell if anticoagulation therapy is working? What are the risks of anticoagulation therapy?